Why The Thomas Meighan Film FestIVAL ? TMFF is the first short format Film-Video-Digital art festival in the New Port Richey area which showcases film, video & animations as a tribute to Thomas Meighan’s Vision. The Festival is held annually at the Meighan theatre, the only historic theatre in Pasco County. The festival provides a venue for local and talented artists to showcase their work in the community with hopes to inspire and advance a greater appreciation for independent film and digital art. The event will help raise awareness of the preservation of historic cinematic landmarks and the cultural identity of New Port Richey. The Thomas Meighan Project came together in 2009 to celebrate New Port Richey’s heritage through the art of film. The Group is founded by Robert Mateja, Deborah Pentivolpi and Charlie & Marie Skelton. Our goal is to restore the theatre to a fully functional movie house, creating educational programs in digital art & filmmaking as well as making the arts a key component in the revitalization in the area. On July 4,2012 we lost our festival co-founder and dear friend, TM Film Fest will continue to pursue and honor the goals set. 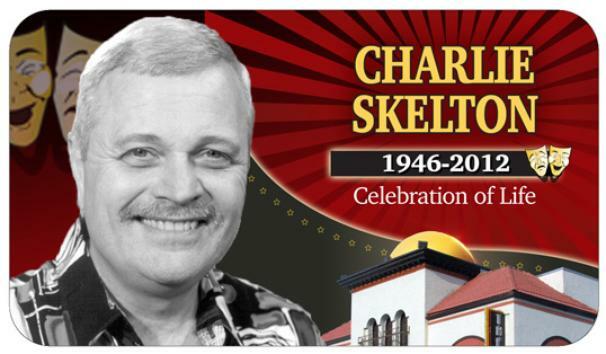 Thanks for everything Charlie, you will always be missed…. The festival will never be the same without you. If you are interested in supporting the theatre and would like to contribute donations that will continue renovations on this historical building and help achieve the goal of restoring it to a fully functional movie house. Feel free to contribute to "The Charlie Skelton Memorial Fund" The board of directors have set up. Thanks for supporting the theatre and its mission.